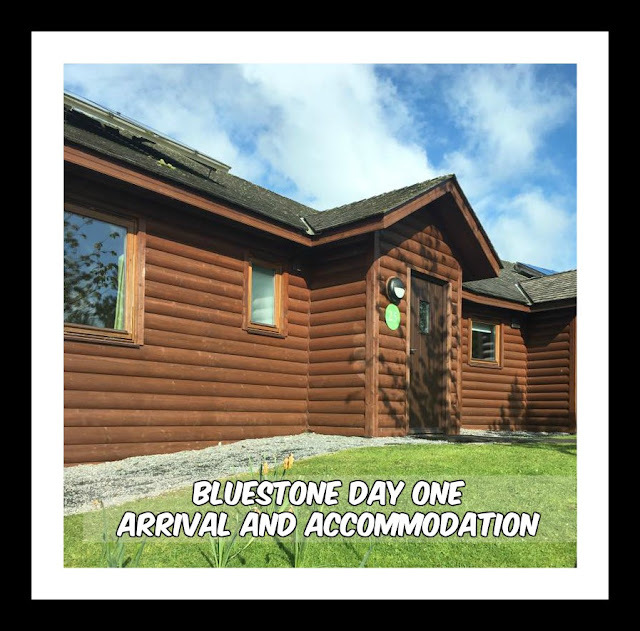 Bluestone Day One: Arrival and Accommodation | Then there were three.. I have always fancied the idea of a UK break to a cabin in the middle of the woods; peaceful country walks and cooking food over a BBQ has appealed to me for quite some time. However, with the uncertainty of British weather and my husband's job, meaning that we have to plan holidays ahead of time has always put us off. Due to this, you can imagine how excited I was to receive an email on Bank Holiday Monday from Bluestone Resort inviting me for a midweek break - starting that day! As it was such short notice, my husband wasn't able to take time off work, so I invited one of my cousins along instead who was more than happy to snap the offer up. If you have never heard of Bluestone before, where have you been?! 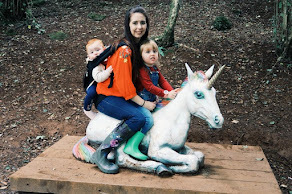 Essentially, it is the Welsh version of Centre Parcs and is set over 500 acres of woodland in Pembrokeshire; so plenty of room to explore! Check In was at 4:30pm but we didn't arrive until around 5:30pm due to the manic packing rush. When we arrived I as so surprised by the smooth check in; I didn't even need to leave my car. All I had to do was drive up to the barriers and a member of staff was already at the booth ready to assist me. The resort itself is a car free zone, aside from your first and last day. I loved this concept as it meant that I didn't have to keep Aoife on a tight leash whilst walking around the resort (I say this, the terror refused to walk for most of the time anyway!). I was also glad that we could take the car right up to the lodge when we first arrived as there is no way we would have been able to unload the car at the car park and bring everything down. Once you have unloaded your car, you have to then return it to the long stay car park where you can collect it on your last day. However if you wish to pop out to explore the local towns then you are able to come and go as you please. There is the option to hire out a golf buggy or a bike too. I really, really wish I had hired a golf buggy out as hills and a 25 week pregnancy bump don't mix too well; especially when trying to push a whinging toddler in a pram too! I have made a mental note to book one as soon as I arrive next time! 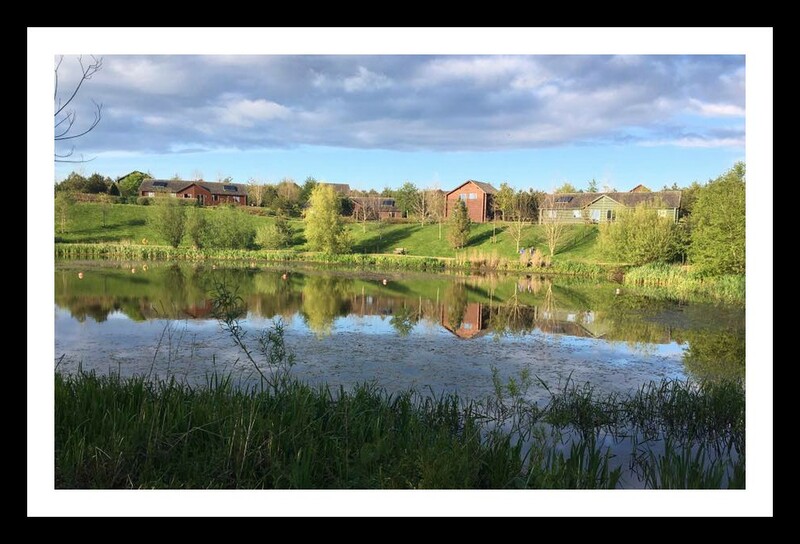 Whilst staying at Bluestone you receive complimentary WiFi along with free access to the Blue Lagoon Water Park and the Adventure Centre (more on these in another post!). We were kindly upgraded to Premium WiFi which was perfect as we could not miss out on our Pretty Little Liars fix on Wednesday evening! 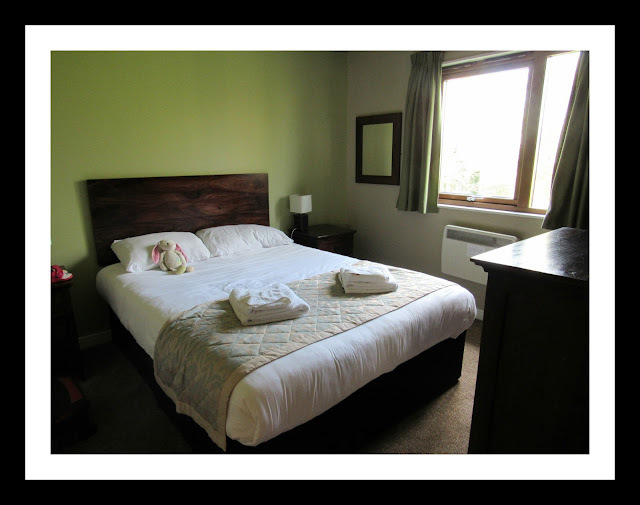 As we were a small party of two adults and one child, we were booked into a two bed Caldey Lodge; all accommodation is self catering in Bluestone and they certainly made sure we were well equipped for our stay. 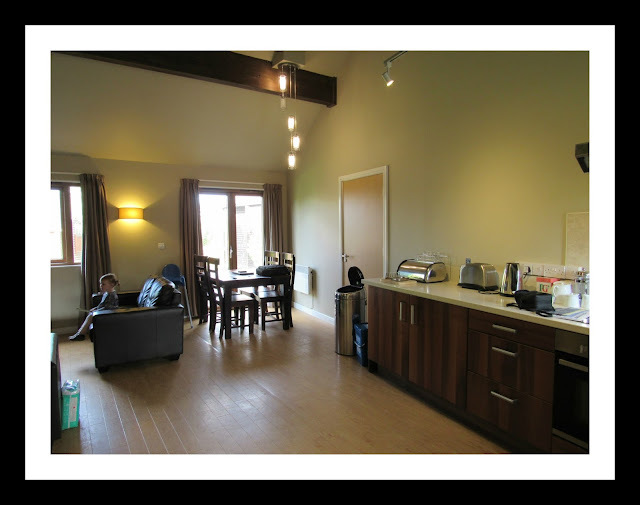 The kitchen, dining and living areas were open plan and so spacious; I fell in love with the high ceilings! 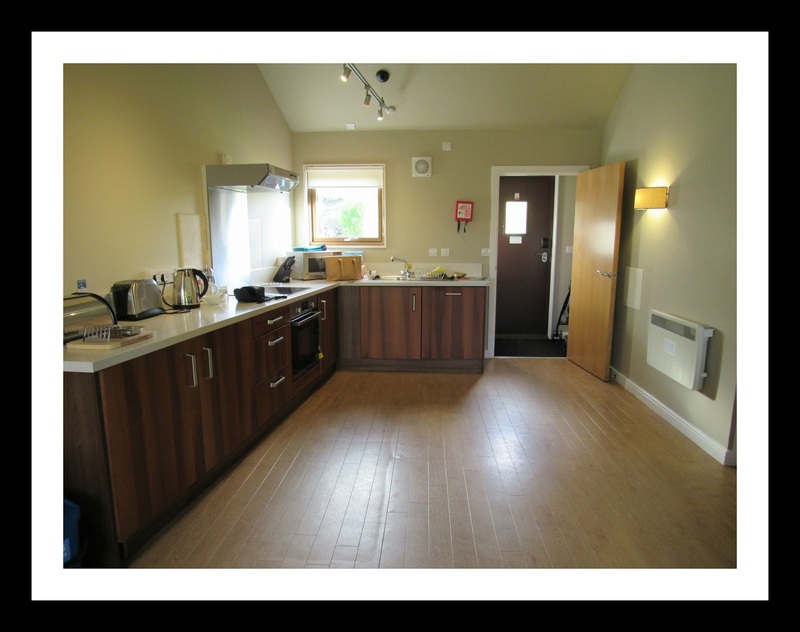 The Caldey Lodge had everything we needed for our stay; a kettle, microwave, fridge, dishwasher, utensils... there was even a mini cleaning pack that had dishwasher tablets and washing up liquid. Bed linen and towels were also provided which was handy as in the rush I had forgotten to pack towels! My only concern was that we had a wet room rather than a bath; this posed no issues for us adults but Aoife wasn't too keen and the floor did get a little slippery. The lodge also had a connecting door to next door which is perfect if you are heading there with another family. 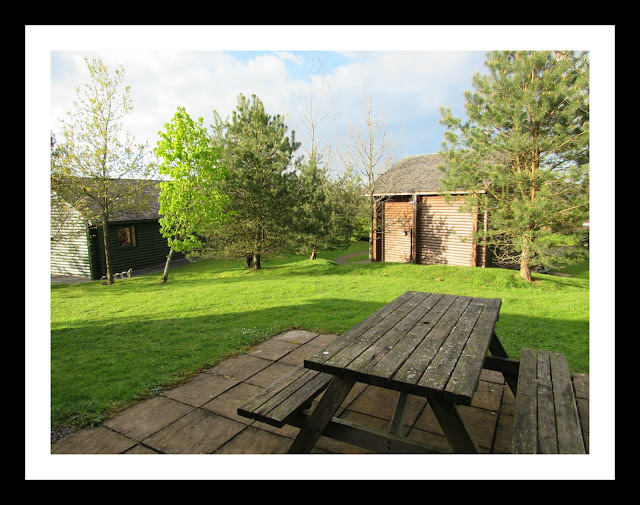 We were also able to enjoy a lovely outdoor picnic area with some gorgeous views - perfect for the sunny weather we had all week! As we had arrived later than anticipated, we decided to unpack the small amount of food bits that we had grabbed and then head over to the Village for a light dinner. On our way over we decided to take a walk around the lake as it was such a beautiful evening. Aoife loved spotting all of the wild bunnies, ducks and ducklings too! 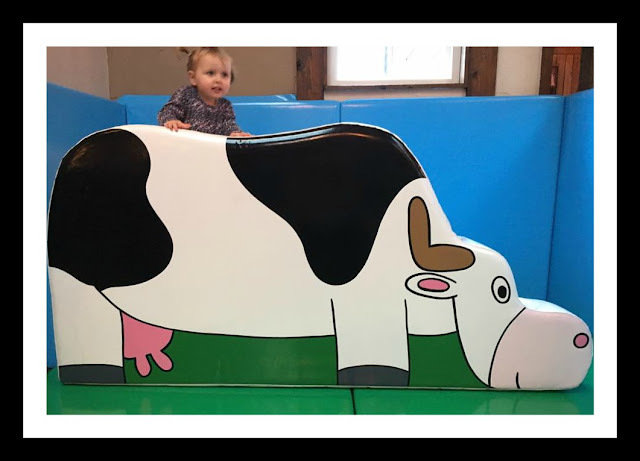 For our food, we ended up in the Farmhouse Grill; whilst waiting for a table Aoife made full use of the soft play area! The restaurant had a real rustic vibe to it which I fell in love with - the decor was amazing and gave me so many ideas for my own home which I am in the process of decorating. Although I'm not sure if I could get away with it in my three bed semi compared to my cousin, who does actually live on a farm! The menu looked fantastic and I was very tempted by the burgers! However, as I knew that I was only peckish and not starving, I opted for just a starter of nachos with chorizo. Considering that it was a starter, the portion sizes were great and I actually wasn't able to finish. Once we have finished eating and oggling the decor, we made our way back to the lodge to chill out for our first night. 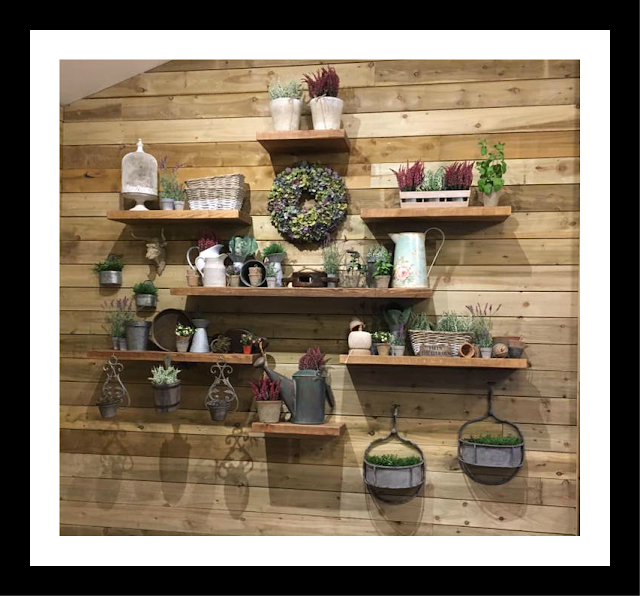 To see what we got up to over the rest of the week, keep your eyes peeled as more posts will be heading your way soon! 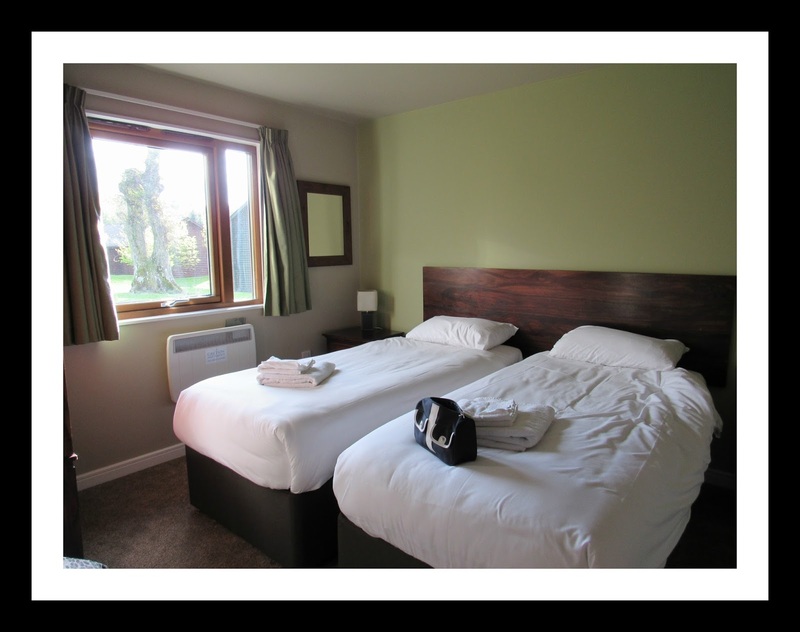 *Disclaimer* I was provided with a midweek break which included accommodation and Premium WiFi by Bluestone Resort in exchange for an honest review. All thoughts and opinions are that of my own.